2017 is proving to be quite a year for Disney movie releases. Following the debut of the live action Beauty & The Beast remake and Cars 3, Pixar Animation Studios has another original adventure coming to theaters in the fall. Inspired by the Mexican holiday Día de Muertos, Coco follows a 12-year-old boy named Miguel who sets off a chain of events relating to a century-old mystery, leading to an extraordinary family reunion. Despite his family’s baffling generations-old ban on music, Miguel dreams of becoming an accomplished musician like his idol, Ernesto de la Cruz. Desperate to prove his talent, Miguel finds himself in the stunning and colorful Land of the Dead. Along the way, he meets charming trickster Hector, and together, they set off on a journey to unlock the real story behind Miguel’s family history. 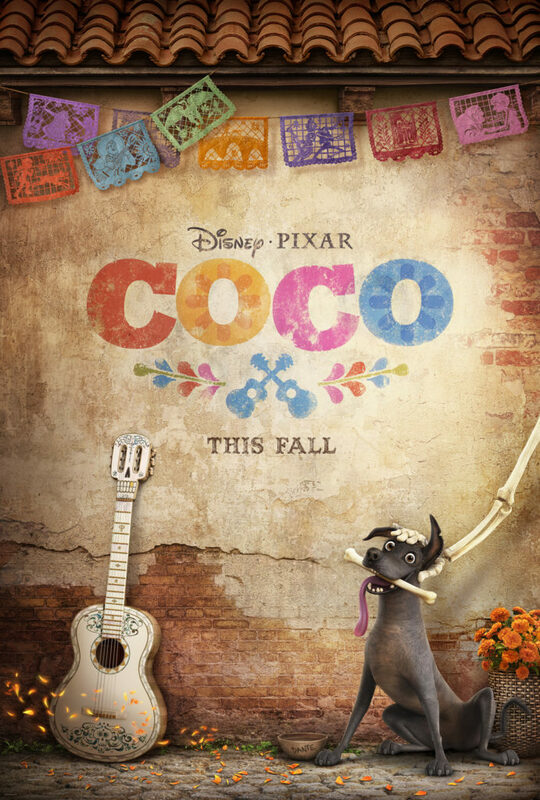 If you’re a fan of the popular Toy Story 3 film, then prepare to absolutely love Coco! Director Lee Unkrich and producer Darla K. Anderson are teaming up again to bring this visually stunning motion picture to life. Toy Story 3 was actually the third highest-grossing animated feature in worldwide box office so I can only imagine what they’ve brought to the table this time around. It’s bound to be incredible! Disney Pixar’s “Coco” opens in U.S. theaters on Nov. 22, 2017. For more information and updates follow along with Coco on Facebook, Twitter, and Instagram. Me too! I've been waiting for this trailer since I first heard about Coco. We loved the Book of Life SO much. I'm hoping this is very similar. So far it looks just as beautiful.